A conference is being held in Edinburgh today to celebrate 130 years of Queen’s Nursing in Scotland. 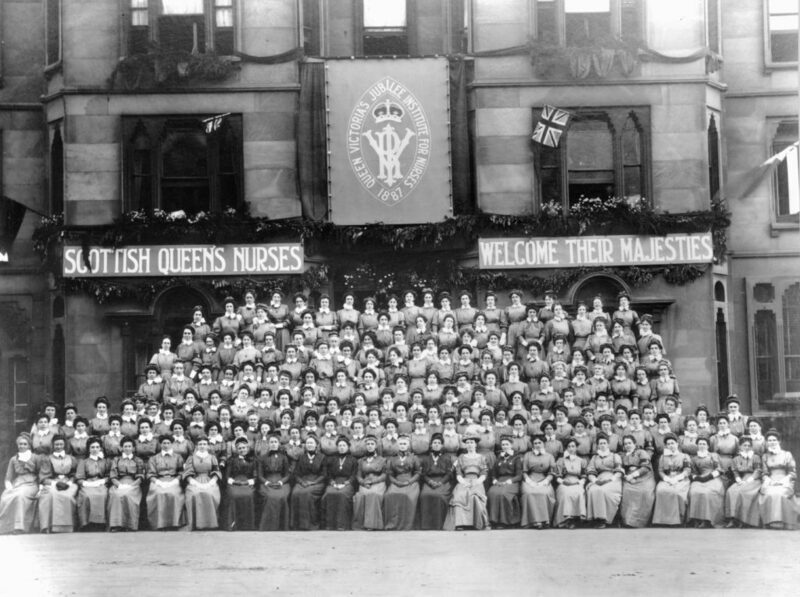 The Queen’s Nursing Institute Scotland (QNIS) was established in the capital in 1889, when nurses completed specific training to become district nurses. They provided healthcare and health promotion to people in their own homes and became well respected figures within their community. The Institute started out in a rented double flat in North Charlotte Street in April 1889 before a permanent training home and headquarters was sourced the following year at 29 Castle Terrace, eventually expanding into neighbouring properties. For many years, Castle Terrace was also the base for Edinburgh’s district nurses to be sent out on their daily rounds across the city. QNIS retains an office in the building to this day. The Institute ceased training nurses following the introduction of a national certificate for district nursing, awarding the title for the final time in 1969. In the decades that followed, the focus was on the Institute’s charitable aims. It supported nurse education and research as well as championing the role of community nursing while continuing to care for hundreds of retired Queen’s Nurses. However, the decision was made to reintroduce the title to Scotland in 2017, with 20 community nurses from across the country completing a development programme which saw them become the first modern Queen’s Nurses. 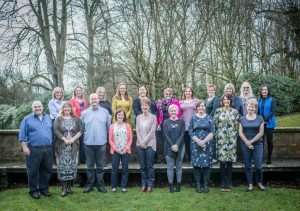 There are now 41 modern Queen’s Nurses working in communities across Scotland in roles which include district and practice nurses, school nurses, those working in care homes, health visitors and nurses providing care to people who need support with a wide range of issues such as substance misuse, dementia care, dermatology, and infant feeding. Around 200 people will attend today’s (Wednesday) conference Celebrating The Past, Shaping The Future at BT Murrayfield Stadium, where speakers will look further at the legacy of Scotland’s first community nurses and the influence their work has. Clare Cable, QNIS Chief Executive and Nurse Director, said: “As we enter our anniversary year, we look back with admiration at the pioneering work of the 19th century Queen’s Nurses who were social reformers, championing the needs of the marginalised. 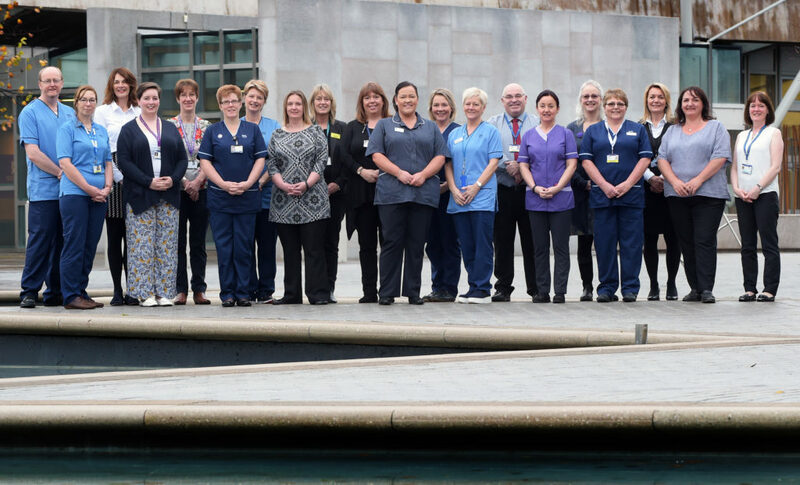 “The contemporary Queen’s Nurses are building on this proud heritage – sharing the pioneering spirit to improve the wellbeing of the communities of Scotland.